But trying to read and understand government documents for these elements can be confusing and time-consuming. 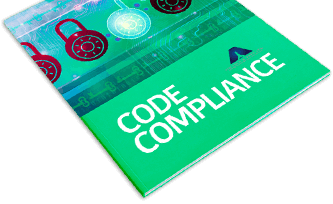 Your FREE copy of The Guide to Code Compliance takes away all the unnecessary, hard-to-read stuff and leaves you with the essential information you need. To see the rest – and to make sure your business is code compliant – complete the easy-to-fill in form on this page to instantly receive your FREE copy of The Guide to Code Compliance, courtesy of Aim Lock & Safe Ltd. Yes, sign me up to receive free security tips!